What to Do with This Old, Dry Bread? You can use leftover breads for a number of things. For example, your bread is hard and dried out because you have too much available. Maybe the bread that you baked didn’t come out quite right, because it is over- or under-done. That is not a problem, and don’t be quick to throw that bread away! As a matter of fact, if you don’t have enough bread to make these recipes, you can even run out to the day old bread store and buy some. I guarantee you that these items will make every meal a feast for pennies on the dollar. 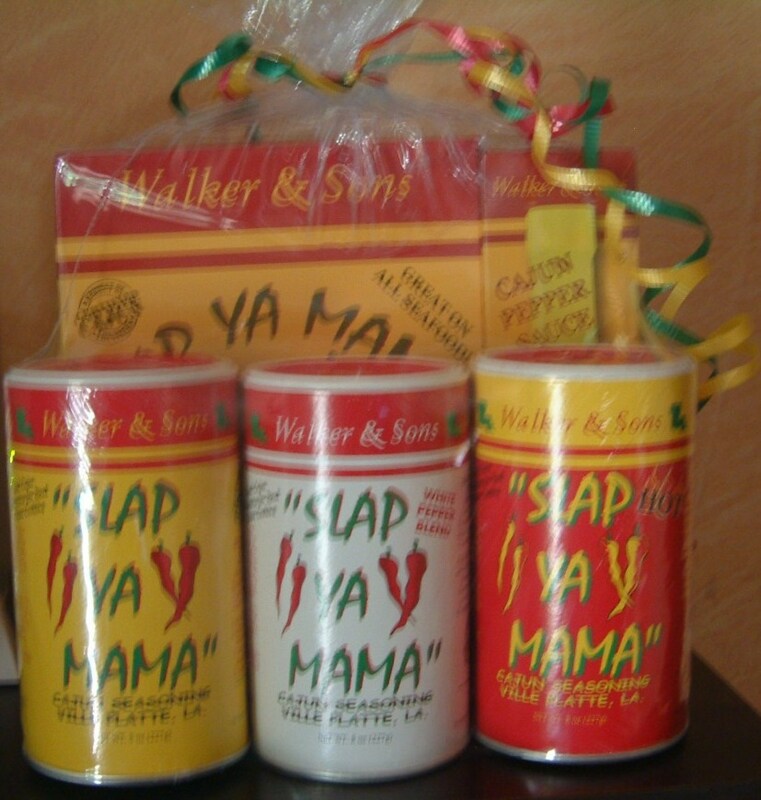 You might even want to make a few things for your holiday meals. 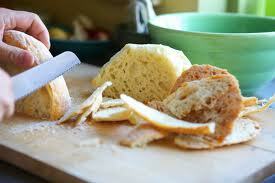 Cut stale bread in half inch slices and remove crust. Spread lightly with butter on one side, then cut to make cubes. Bake at 325 degrees F for 15 minutes or until golden brown, stirring occasionally. Serve with soup or atop your salad. Heat a griddle or frying pan to medium. Combine a cup of milk, two lightly beaten eggs, and a pinch of nutmeg or allspice, a tsp. of vanilla, and a pinch of cinnamon. Dip a slice of bread in the mixture long enough to coat each side, but don’t soak until the bread falls apart. Brown the toast on each side. Serve with a little butter, Karo syrup, jam, or maple syrup. Will serve 2-4. Cook 1 ½ cups brown or wild rice until tender. Saute a cup chopped onion and ½ cup chopped mushroom in two tbsp. melted butter. Add sautéed items to rice. Also add ¼ tsp. of parsley, sage, savory and thyme. Mix stuffing well. Stuff bird and roast or bake separately. This is especially good with wild game. Soak 1 ½ cups dried and chunked bread in two cups milk. If your bread is fresh, toast it in the oven a bit. Add a tbsp. each sugar and melted butter, a tsp. vanilla, and two lightly beaten eggs. Pour into buttered baking dish. Set dish in pan of hot water and bake at 325 degrees F around a half hour. If a knife comes out clean after inserting into bread pudding, it is done. Serve with berries, cream or a pudding sauce. Line buttered baking dish with dried breadcrumbs a half inch thick. Add a layer of sliced apples, dot with butter, sprinkle a tsp. cinnamon, and 1/3 cup brown sugar, and repeat. 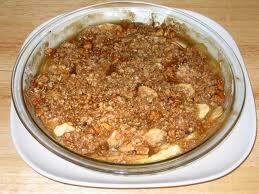 You’ll be using a cup of sliced apples per each cup crumbs. When finished, add ½ cup water per two cups breadcrumbs. Bake at 350 degrees F for 45 minutes. Serve hot with whipped cream. You don’t have to just use apples for fruit. Crush unleavened(just flour and water) or close-grained breads with a blender or rolling pin before they turn too hard. If that happens, grate them, or hammer them small enough to fit into a blender. Store heels or stale bread in a paper bag, not plastic, as plastic will cause the bread to mold. To crush the dry bread, roll it will a rolling pin in the paper bag. 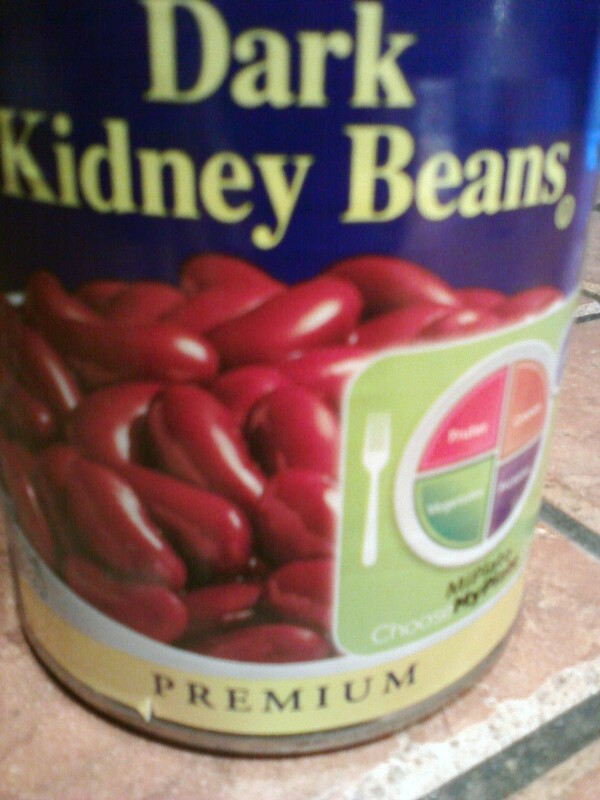 You can even place it in a colander and rub it through, or use a grater. Put leftover rolls and tear off chunks of bread into a pillowcase, tie it firmly shut, and run it through the dryer. If there is still dampness, finish drying it in a food dryer, the sun, or the oven in order to prevent mold. Put your crumbs in a glass jar or canning jar and seal tightly with a lid. Store different types of bread separately. 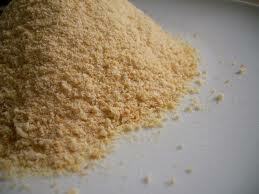 Bread crumbs ground, grated to fineness, or toasted and rolled can be used to thicken meat gravies. Put a thin layer of crumbs over your casseroles or coat meat to be fried by dipping in beaten egg and then into the crumbs. Hey, mini! That sounds like a great idea. I bet that those would be good for appetizers, too. I can definitely come up with some great options for you. Gluten has not been one of the ingredients I've looked for, but let me do some research and I know I surely have tons of great gluten-free recipes for you! I have a nice series of vegan recipes coming up that you might like! :) I will get on top of those gluten-free recipes! Thanks for the suggestion. Victoria, do you have anything gluten free for me? Thanks! I try to offer many of these same options (and tons of others) in all of my recipes! I even have alternatives to Cream of Mushroom, Cream of Chicken and Tomato soup! VVanNess, exactly. We get enough bad things in the processed foods that we eat, so please do your best to keep yourself and your family away from those hazards. CampbellLena2013, so glad that you could use this. Do pass it on, so that everyone you know can save money and enjoy decent homemade food without preservatives and chemicals. Very nice, very thorough article. I have discovered these same tricks, but more for the fact that they are healthier, and much cheaper, options than buying packaged croutons and bread crumbs for instance. Great job! Hey, rebecca! Wherever there's a will, there's a way. Enjoy. Hey, Kathryn! Thanks for the vote and the shares. With the way that the economy is, we need al the help and ideas that we can get. I think between all of us, we can manage to survive, and do it well. Thanks for coming by! 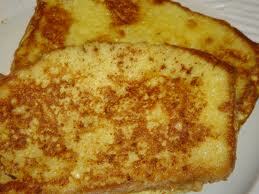 These are excellent tips for using up that old bread...You made me want French toast. It looks so good. I like the way you make your bread crumbs all vote up and shared! These are clever ideas! I prepared for a similar hub a while back, but never got to it. I love the idea of reducing food waste, and reusing things to make something different. I'm bookmarking, voting up, and sharing. By all means, Gypsy. There is so much that you can do, and t takes no time at al to toss a stuffing mixture together. It is nice to break things up in stead of the usual starches all the time. Mary, you are so welcome. I cook for a living, but I still enjoy my cooking at home, too. Hey, Pamela! Thanks for all the votes and the share. It is especially good that people hear about this now in time for Thanksgiving. Hey, JPS! Most people didn't really come across me until after I had been around for a year. It was pretty slow going for me, but I am glad that you found me now. Helpful tips, I waste too much bread so this tips will be quite useful. Not only useful but delicious ideas! Oh Bill, my hubby loves bread pudding above all other desserts stale bread or no I have to make it at Christmas. It was a great idea to put these recipes together Deb. Wonderful ideas, aviannovice. I'm voting this up and posting it to my Facebook page. Very interesting and useful ideas. My only regret is why I have not read of this hub earlier. I will certainly try this since we usually have bread leftovers from time to time. Hey, Careermommy! Glad that I was able to help you with an idea. Hey, moonlike! There's always something out there that we can use leftovers for, and I like to be on the lookout as much as possible. Good to see you. Very useful hints. I usually make crumbs out of the ends of the loaf and use them for rolling chicken cutlets in before frying them. They come out excellent. Great hub! We buy fresh bread weekly, and more times than we like we have to throw away stale bread. I'm definitely going to make the bread crumbs. What good ideas, some I never thought of. We were just talking about old bread tonight. I don't like bread after two days. My husband and son are always checking to make sure I haven't thrown their bread out. 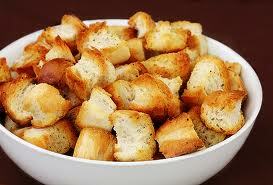 I told them tonight their old bread would make good croutons. Voted up. Yes, we waste a lot of food here, Brenda. I know you will love that stuffing, too! 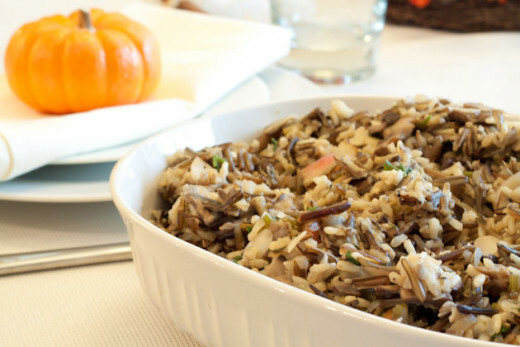 The wild rice stuffing looks great to me, so savory and delicious. We must learn to use every part of our food. We waste so much here in America. Thanks for the great ideas. Thanks, kashmir. I have been enjoying doing these little off-the-beaten-path pieces. Yes, Alicia, there are so many wonderful things out there to sample. Thanks for visiting. I got both messages, Beckie. Thanks for checking. I appreciate the up vote, too. Yes, mpropp, it is pretty easy. If you prefer a fruit during another time of year that is in season, the same recipe works well, just switch the fruit. Thanks, the Dirt Farmer. There are always alternative uses for everything. I agree with your take on bread pudding. It sure is a fabulous dessert, or breakfast, for that matter! Yes, Jackie, that is another fabulous way to make croutons, just sprinkle on a favorite herb or two before you put the bread in the oven. Hey, Martin! So you are obviously an avid bread eater. Bread hosts empty calories. The birds get no nutrition from it. If it was all they ate, it would kill them. Yes, Beckie, that is a fine use for your bread. Nothing like a good onion soup on a cold day. Hi my friend all great ideas to use up that leftover bread, well done ! These are very useful ideas, Deb. 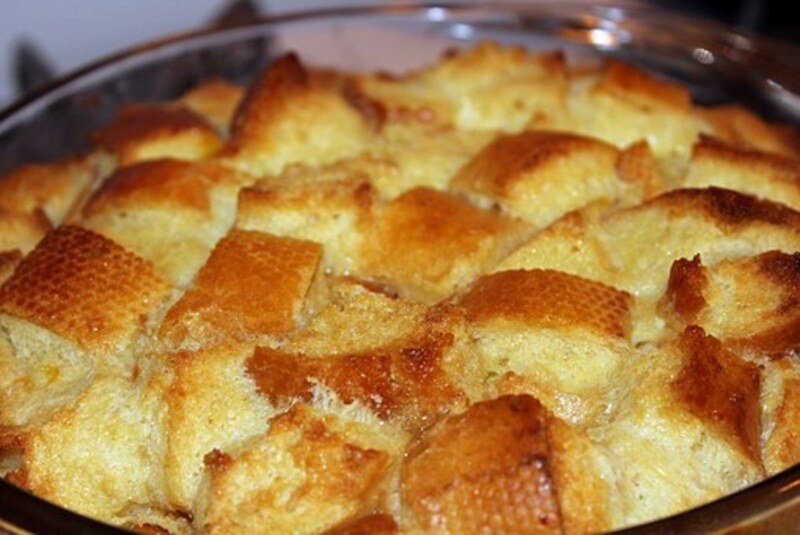 My favorite one is to make bread pudding with leftover bread, since I love this dessert! The other recipes sound tasty too. Deb - I left a comment last night but I have been running into glitches with the hub pages lately. Just wanted to give you a "thumbs up" on these suggestions. The apples and crumbs seem a great suggestion and they look delicious. Bread pudding is one of my favorites but the advice for thickening gravy is awesome. I use my stale bread for my french onion recipe. I knew you could make your croutons from dried bread, but I didn't really think about all the other things you can do with the dried bread. I definitely have to try the apple with crumbs! It looks delicious and sounds simple enough for my own culinary skills. Never thought of using bread crumbs to thicken gravy! Great ideas. 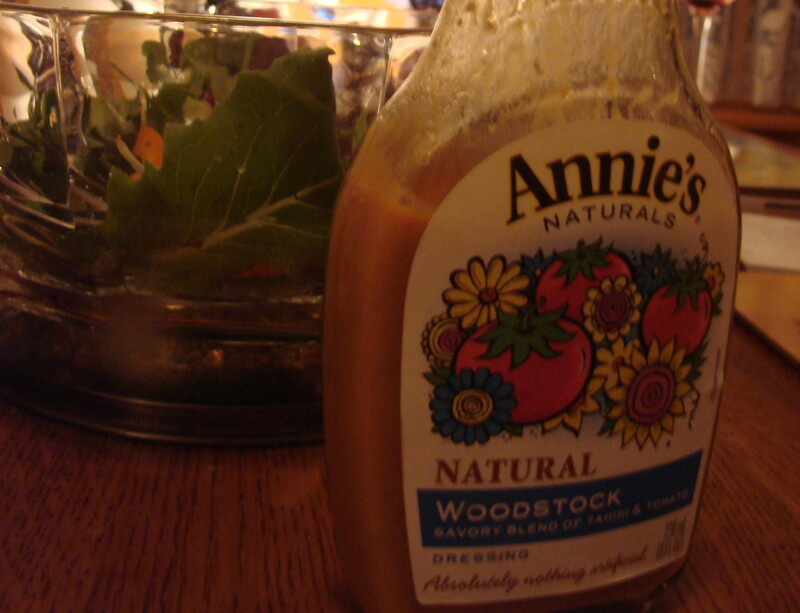 Great info aviannovice must admit have not used it to thicken gravy, will put that one on the back burner for later. Bread pud now you're talking, we love it and I used to make it a lot. Thanks for some useful tips. have a good week-end. I already freeze stale bread to use when I make stuffings or pudding but you have added some great ideas. Yum on those croutons! I bet sprinkled herbs would be good on them too. Great tips! There always seems to be left over bread around the holidays too so I will be putting some of these to good use. Btw...is it safe or not to feed stale bread to the ducks and other birds in the pond behind the house? I know many people do but it seems as if I read something that says there are certain types that is not good for the birds at all. Any info you can tell me on that would be greatly appreciated! Thanks! As always a great hub with useful info! Fantastic and yummy ideas my friend. I deliberately allow several pieces of bread to become extremely hard and then use it in my home-made french onion soup recipe. It works great, especially the heals of the bread that everyone avoid. I like it, but don't get it much any more since I developed that damn wheat allergy. The other breads are a bit expensive to do that with, but I will think of something. Great ideas Deb. 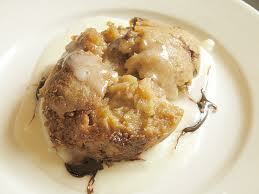 I think I might be the only human in the U.S. who has not had bread pudding. I'll have to rectify that soon.